Upon completion of this 3-day intensive course, earners will be prepared to create and implement an ethical grant-funded project that supports the mission and vision of their organization. They will have the skills to determine areas appropriate for grant funding and create a strategic funding plan. Earners will be able to understand how evaluation is used to create powerful programs. They will have the skills to understand and adapt to different reporting requirements. This micro-certificate is designed to cover all proficiencies tested by the Grant Professionals Certificate Institute (GPCI) Certification Exam. The GPCI is the certification body for the Grant Professionals Association (GPA) who administers the exam. 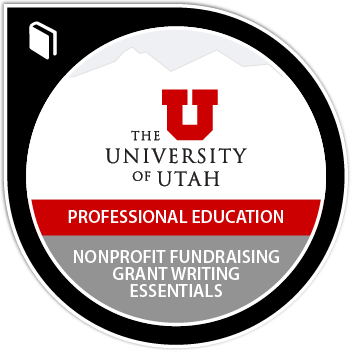 The GPCI certification is the standard of excellence for the grant writing profession.